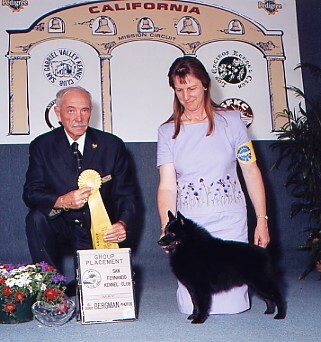 Scout, pictured above, was our first home-bred champion and had many accomplishments in the show ring, including being ranked as the #7 Schipperke in the U.S. in 1997 and numerous group placements. 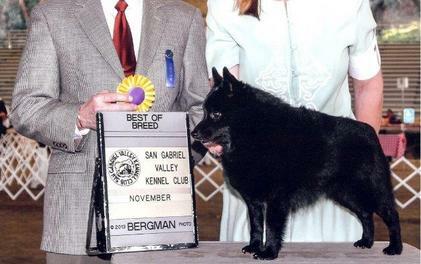 For the year 2000, at the age of 8 years old, Scout was ranked as the #12 Schipperke in the breed nationwide, and was ranked #12 all breed for his numerous group placements. 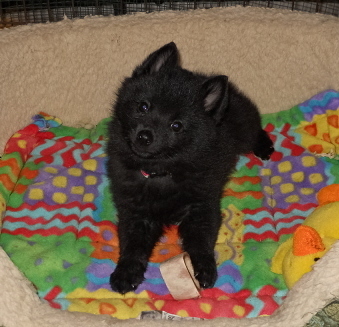 As a brief introduction to Willow Schipperkes, I will tell you that my husband Terry and I obtained our first Schipperke in 1987, and little did we know what we were getting into! 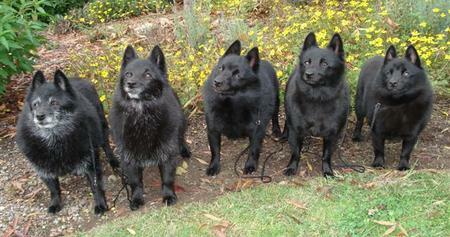 We have since then been very involved in showing and breeding Schipperkes. We have puppies occasionally and also occasionally have adults available for placement in new homes. All of our Schips are raised in our home and well socialized - each is guaranteed for health and temperament. Pet quality Schips are sold on a spay/neuter contract. If you are interested in puppies, adults or rescues, please contact us. 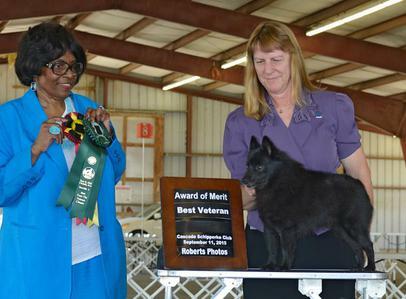 Zeus finished his championship at 10 months of age with a 5 point major the weekend of the 1998 Schipperke Club of Central Arizona Specialty. He was a multiple group placer and won numerous Awards of Merit at regional specialties. We lost Zeus way too young from a tumor in his heart. He will forever be remembered as one of our very special boys. 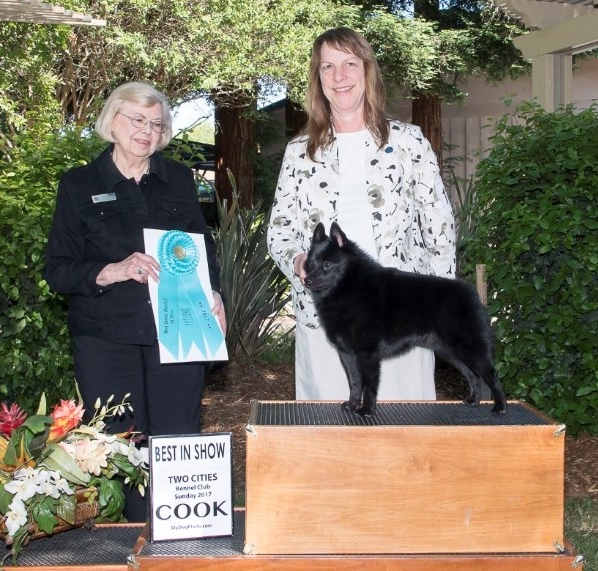 Clint started his show career at 6 months of age winning Best Puppy, Winners Dog and Best of Winners at the Schipperke Club of Central Arizona specialty - then Winners Dog and Best of Winners at Kachina Kennel Club the following Sunday. He has gone on to have many exciting wins including numerous group placements. 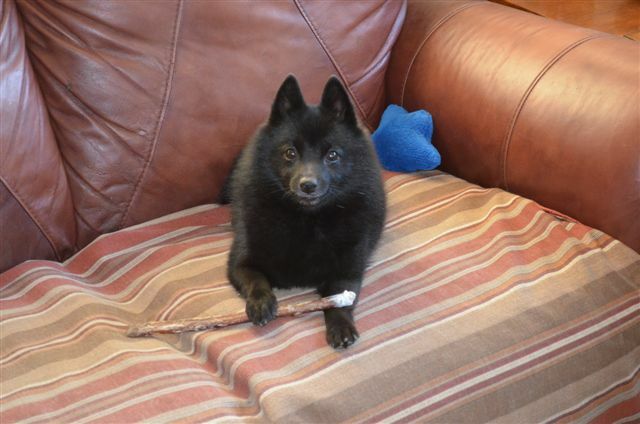 Clint was ranked the #11 Schipperke in the U.S. in 2007 and finished in the top 20 for 2008. After taking a break in 2009, Clint again finished in the top 20 in 2010, finishing the year as the #16 Schipperke in the United States. 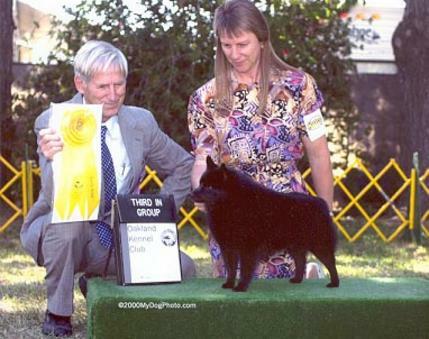 Clint was also tied as the #6 Schipperke to be the first to ever win an AKC Grand Championship award. He has now obtained his Grand Champion Bronze certificate from AKC. Clint was back in the ring in 2013 and did great! 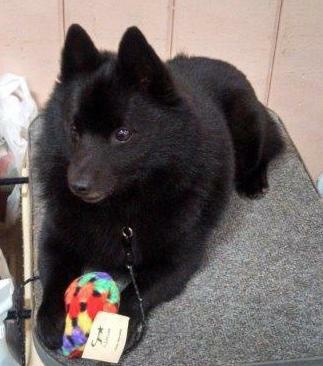 Clint finished the year as the #7 Schipperke in the United States and #12 All Breed for his group placements this year. 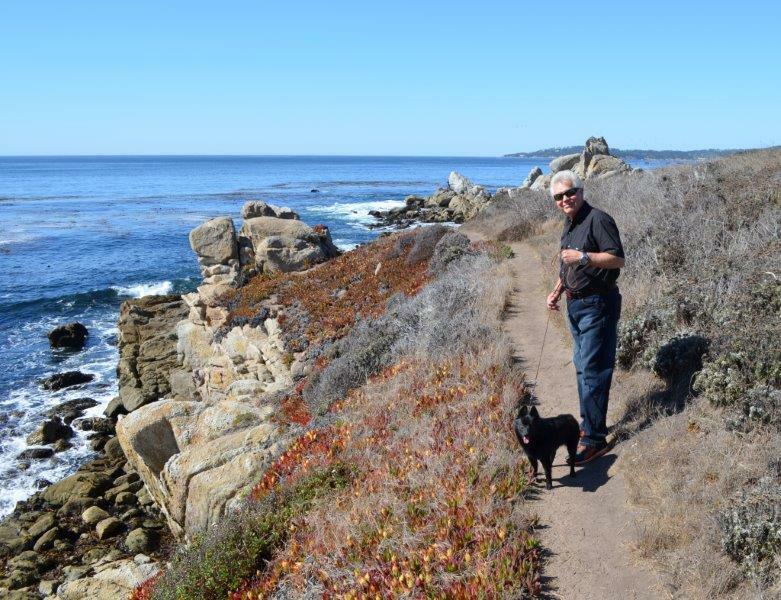 On September 13, 2014, Clint earned his AKC Silver Grand Championship title.